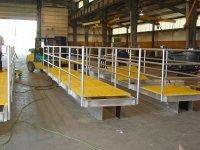 Tank skid base assemblies used for mounting vessels and process piping. 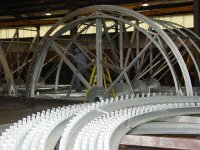 Carbon steel and stainless steel. 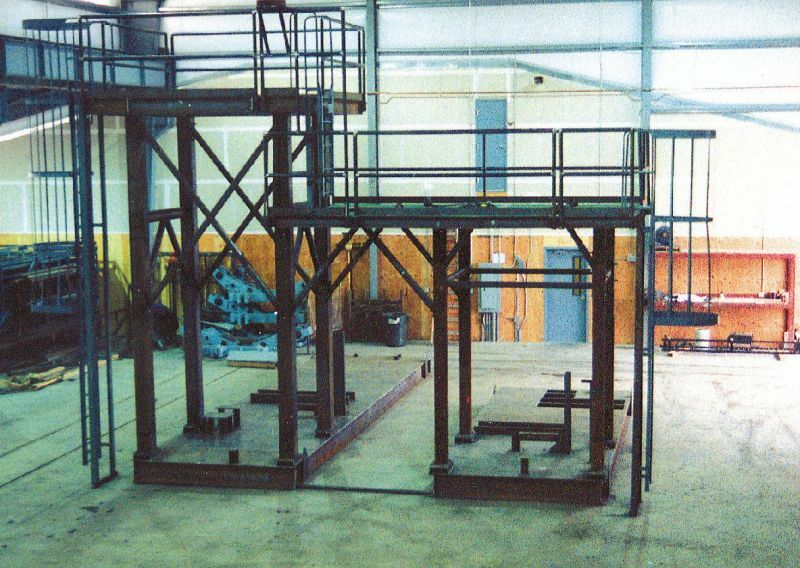 Structural support modules pre-assembled and shipped complete. 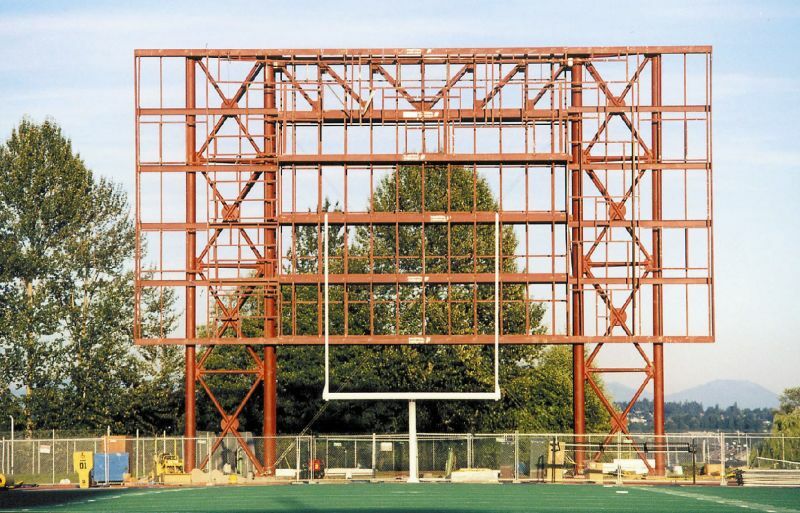 Support structure for the University of Washington football score board. Awaiting signage and face panels. 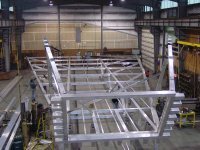 Column assembly for football score board. 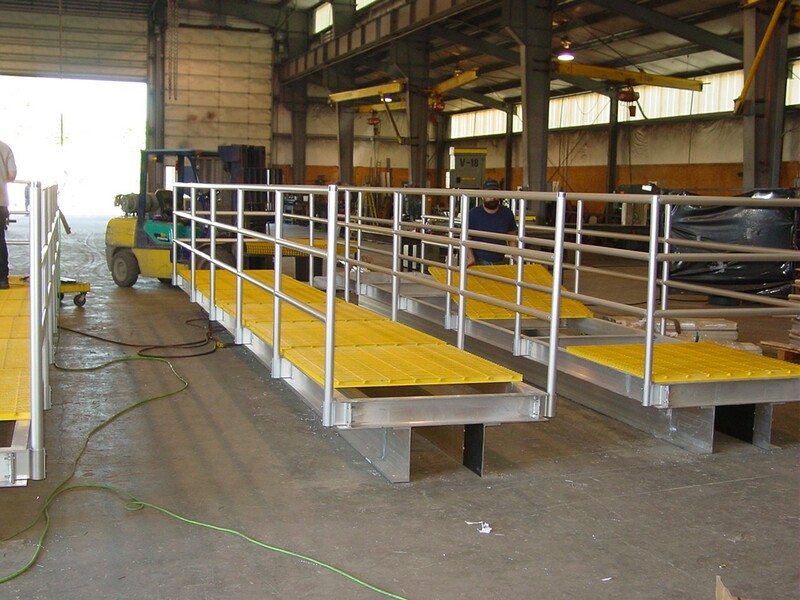 Structural pipe bridge and walkway assembly used in a concrete processing plant. 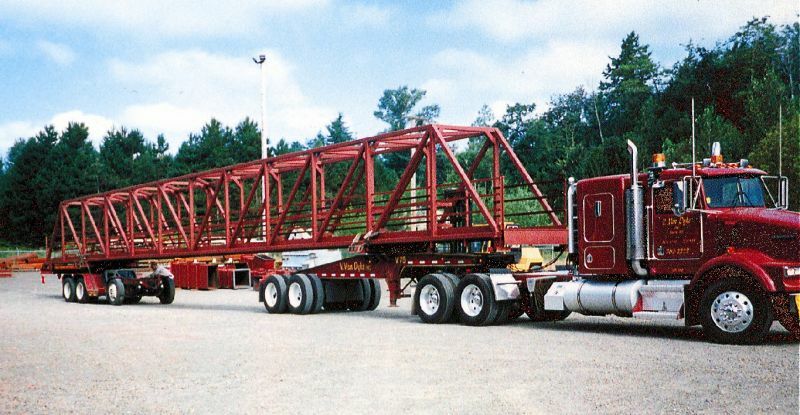 Shipped completely assembled. 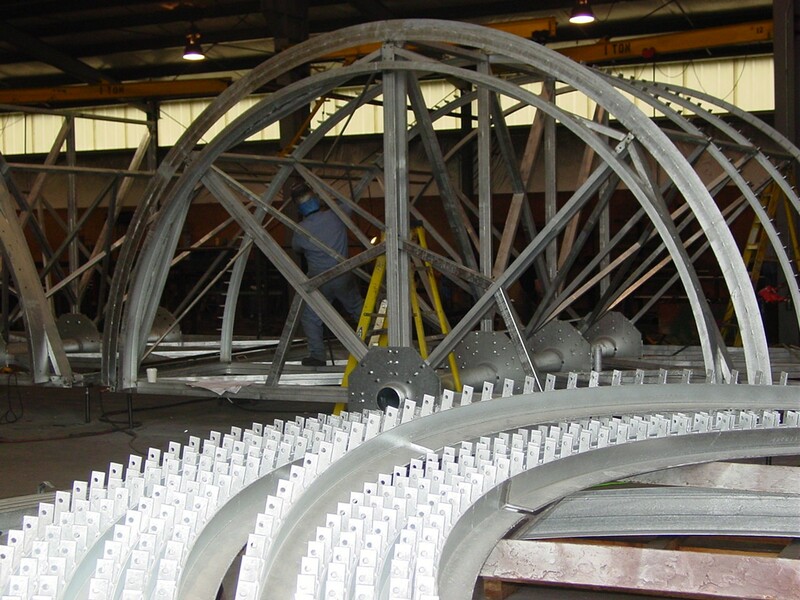 Stainless steel structural framework for spiral cage assembly used in the food processing industry being assembled and shipped in 90° segments. 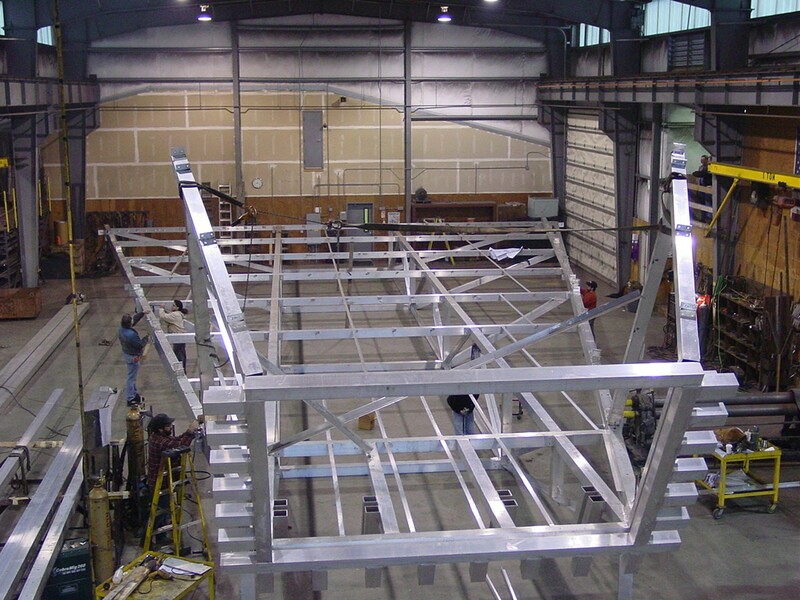 Aluminum structural assembly which is used in a floating fish net guide structure. Completely shop assembled to assure proper fit in the field. 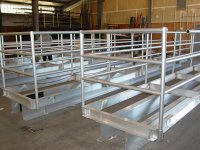 Aluminum walkway framework with aluminum railings attached. 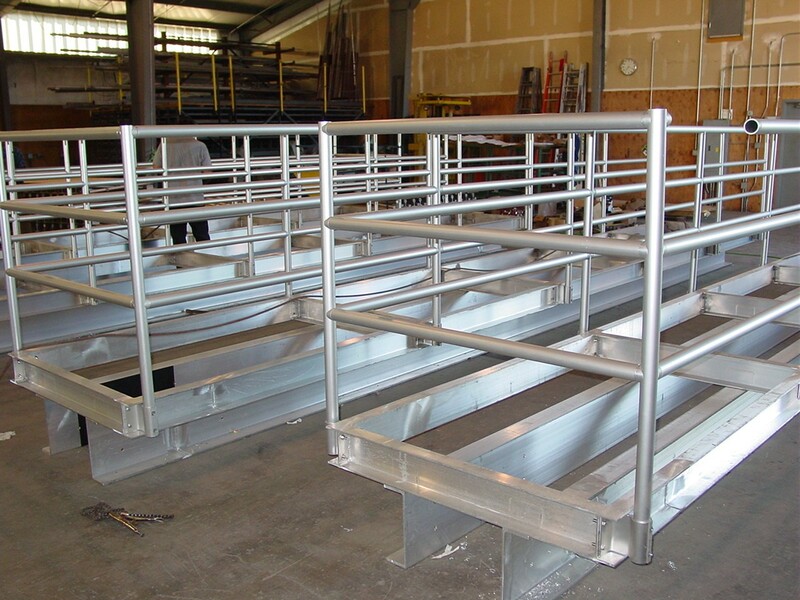 Aluminum walkway assemblies shown with fiberglass grating installed used in a sewer treatment facility.